Jo D, Ryu K, Yang S, Kim M., Korean Journal of Anesthesiology, 46(5):589-592 May 2004. Korean. 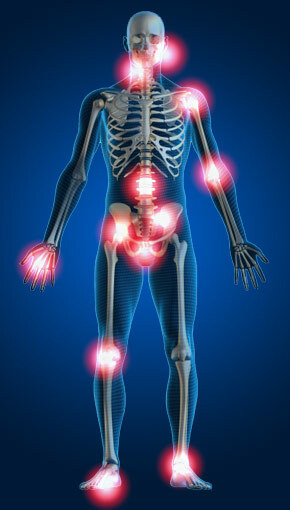 BACKGROUND: Prolotherapy is an effective treatment for pain due to ligament or tendon laxity. The purpose of this study was to determine the effects of prolotherapy on the relief of shoulder pain. METHODS: Twenty-nine patients who complained of shoulder pain were investigated using a pain score system. Prolotherapy was performed using 15% dextrose to regions according to Hemwall's pattern. We recorded numeric rating scale (NRS) pain scores just before prolotherapy and 1, 2, 4 and 8 weeks later. RESULTS: For the 29 patients, prolotherapy proved to be effective and satisfactory in 83% (NRS; 7.2 +/- 0.8 before, 2.0 +/- 1.3 after prolotherapy). CONCLUSIONS: Prolotherapy with 15% dextrose resulted in a clinically significant improvement of shoulder pain due to ligamentopathy. Affiliation:Pain Clinic, CHA General Hospital, Seongnam, Korea. Department of Anesthesiology, CHA General Hospital, Seongnam, Korea. Arch Phys Med Rehabil. 2008 Feb;89(2):377-85. High-resolution ultrasound and magnetic resonance imaging to document tissue repair after prolotherapy: a report of 3 cases. High-resolution ultrasound imaging of musculoskeletal tissue is increasing in popularity because of patient tolerability, low cost, ability to visualize tissue in real-time motion, and superior resolution of highly organized tissue such as a tendon. Prolotherapy, defined as the injection of growth factors or growth factor production stimulants to grow normal cells or tissue, has been a controversial procedure for decades; it is currently gaining in popularity among physiatrists and other musculoskeletal physicians. This report describes imaging of tendons, ligaments, and medial meniscus disease (from trauma or degeneration). Although these tissues have been poorly responsive to nonsurgical treatment, it is proposed that tissue growth and repair after prolotherapy in these structures can be documented with ultrasound and confirmed with magnetic resonance imaging.